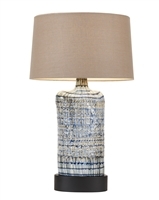 Beautiful artsy Hand Made and Hand Painted ceramic table lamp that yet again speaks for itself. 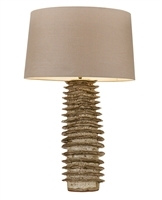 A lamp that is simply embossed, textured and amazing to look at. 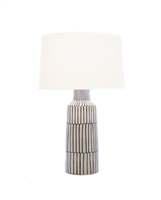 We select a simple lamp shade to really put more emphases and focus to the details of the beautiful ceramics. Hand made and Crafted from the finest Thai ceramic.work of art! 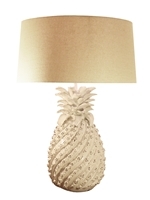 All Lamps are UL Listed and CA 60 Watts Max, 150 CFL and LED Bulb Approved.